The Super Code Hopping Range of Transmitters are designed for distance and maximun security and encompass Surface Acoustic Wave Technology. Encased in a slim-line, durable nylon type casing, place quality, reliability and security over a distance at your fingertips! 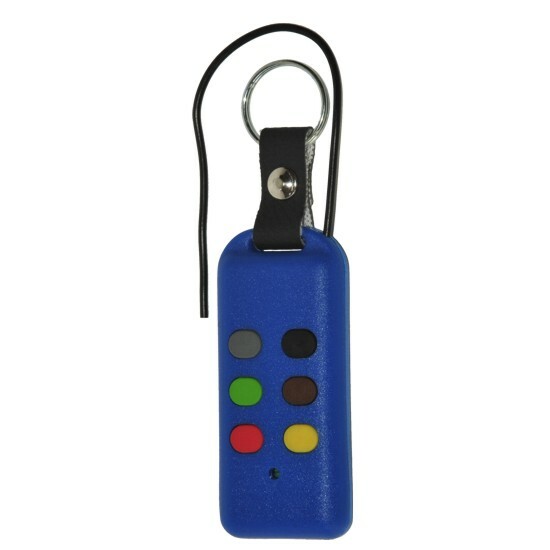 Available in 1, 2, 4 and 6 Buttons. Up to 500m (line of sight) when used with any Standard Bartronic Multitek Receiver. Up to 1km (line of sight) when used with any External Bartronic Multitek Receiver.